Samford University is remembering distinguished alumna and longtime professor Grace Weeks Márquez ’42 after her passing on Sunday, May 3. "Grace Márquez was national Spanish Teacher of the Year, mentor to dozens of faculty and over a thousand students, as well as loved by all who knew her," said World Languages and Cultures chair Mike Ledgerwood. The Clanton, Ala., native first taught Spanish language at Samford from 1955-1970 and returned in the late 1980s. She was nationally-respected Spanish educator, department chair and founder of Samford’s first language lab in the 1960s. Her decades of teaching also included Birmingham-Southern College, schools in Mexico, Birmingham’s Baptist Church of the Covenant and a number of other institutions. 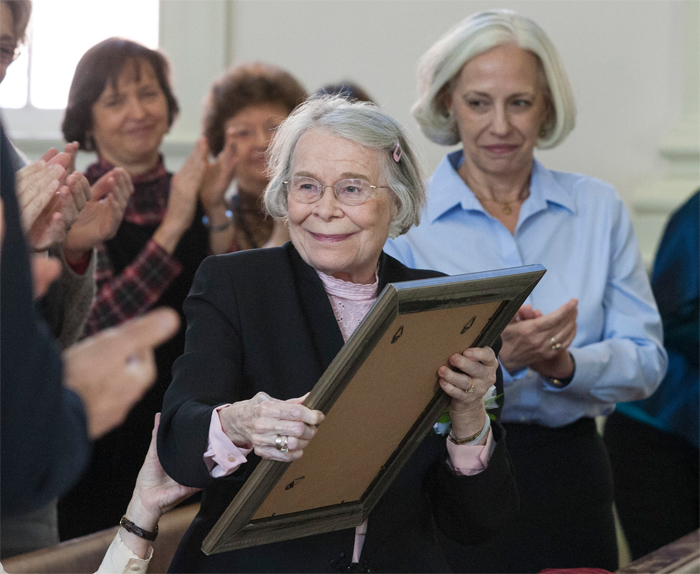 When Samford’s Department of World Languages and Cultures dedicated its Grace Márquez Language Technology Forum in 2013, friends, colleagues, family and former students told the story of her profound and ongoing influence on several generations of language students. “My greatest joy as a teacher is when I look around and know that there are still many, many students who are learning the language that we who believe in Spanish think is spoken in heaven,” Márquez said when she rose to acknowledge the honors on that occasion. Visitation will be 5-7 p.m. Friday, May 8, at Johns Ridouts, Southside Chapel (time to be determined). Family-only graveside services on Saturday, May 9, will be followed by a public memorial service at Baptist Church of the Covenant at 1 p.m.